With more people than ever before browsing the web via mobile devices, it is absolutely essential that your website and its offerings can be easily viewed by them. A majority of web traffic now occurs via mobile devices, making it nearly impossible for search engine giants like Google to ignore this reality. As a result, SEO shifts now require substantial changes in your strategy if you want to be effectively visible to the broad bulk of traffic filtering via search engines. If you’re just starting your website – or merely late to the mobile party – then continue reading to find out how to build better mobile rankings in search results. The most important individual thing you can do to improve mobile rankings in search is to ensure that your website has a mobile responsive design. When pinging search engines with content, they’ll assess your website’s mobile-friendliness in a variety of ways. Mobile responsive design ensures that your website will render properly across all devices, including mobile ones. 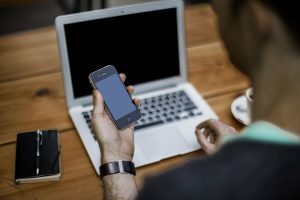 Without this feature, your website will not be able to ascend the ranks of Google and other search engines effectively; with a majority of internet traffic originating from mobile devices, search engines have moved to neuter the prominence of websites in search that do not have mobile responsive design. More and more people are now using voice search to find what they need on Google and other search engines. By some accounts, roughly twenty percent of all mobile searches are now done via voice search. If you want to rank well in mobile results, being attuned to the finer points of voice search is an absolute must. Generally, people voice search using short, specific commands or phrases. In many cases, just the keywords are used by those searching via voice. This means that voice search optimization focuses more on shorter keywords and phrases rather than longtail keywords. Additionally, people generally “want to” do, buy, see or find something, so keep that in mind when optimizing for voice. If possible, your brand really should consider how big of a role local searches play in mobile results. Most people who use mobile devices to perform searches will use their devices to find local options and information throughout the day, making it one of the most desirable (broader) niches to target. When figuring out how to optimize your rankings, consider that pinging search engines with local keywords and offerings may reduce the overall net you’re casting in terms of audience size, but will increase the number of people you can potentially reach due to less competition in those SERPs. Ultimately, more and more brands are finding ways to be relevant in local results so that they can expand their mobile audiences. If you’re focused on improving your mobile rankings in search, then be sure to think local, improve voice search capabilities and implement a mobile responsive design. These three relatively simple tasks will dramatically increase the number of mobile users who see your website over time, and will increase your relevance in searches as well.